It’s no surprise that artists tend to be some of the most notable quotables. And since discovering how artists talk about their work can often inspire creative people of any sort, we decided it was high time to put together a collection of some of our favorite quotes from our favorite artists, many of whom are also featured in our curriculum. Whether they’re talking about their artwork and creative process, art as a whole, or life in general, we hope these artists’ words will help inspire you and your creativity as well! 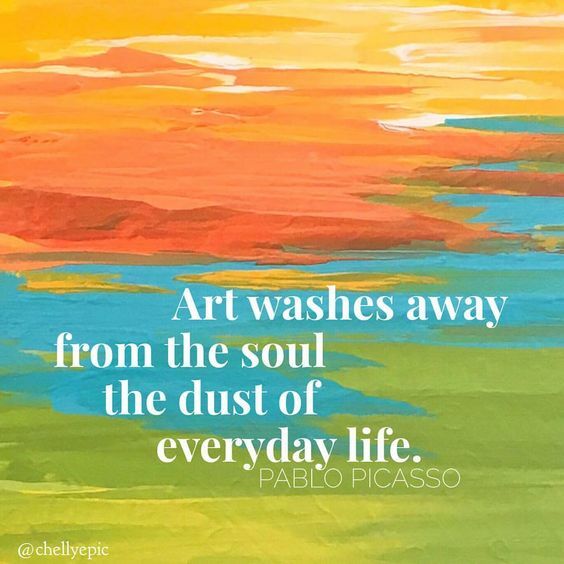 “Art washes away from the soul the dust of everyday life.” – Pablo Picasso. Image by @chellyepic via Pinterest. (Follow her on Instagram for plenty of abstract art and inspiration!) Picasso and his artwork are featured in our first, third, fourth, fifth, and sixth-grade curriculum. 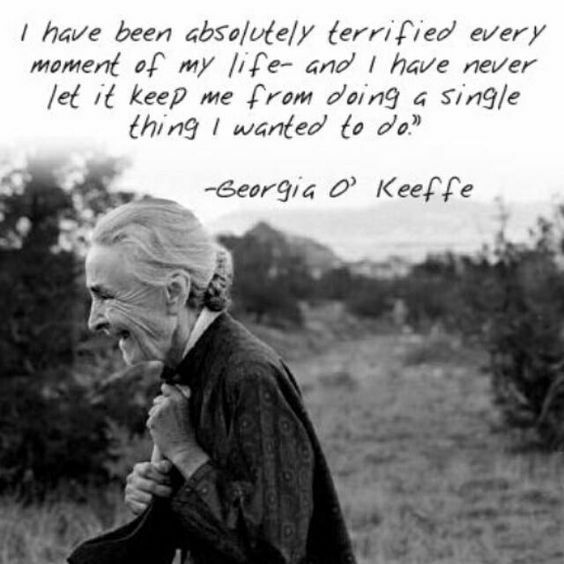 “I’ve been absolutely terrified every moment of my life and I’ve never let it keep me from doing a single thing that I wanted to do.”- Georgia O’Keeffe. Image c/o LifeHack via Pinterest. O’Keeffe and her artwork are featured in our first, third, and fifth-grade curriculum. “I don’t think about art when I’m working. 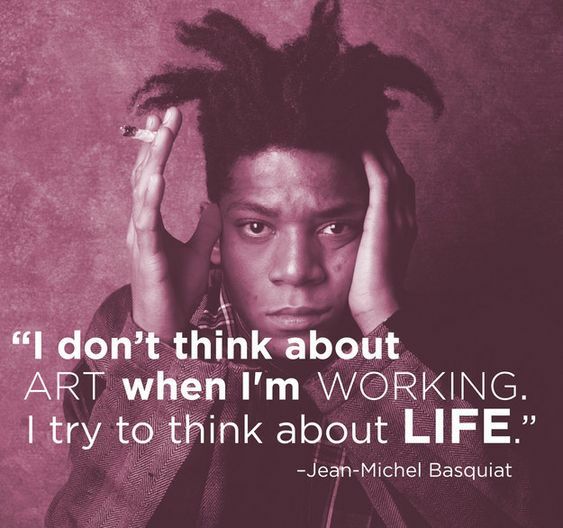 I try to think about life.” – Jean-Michel Basquiat. Image by Buzzfeed via Pinterest. 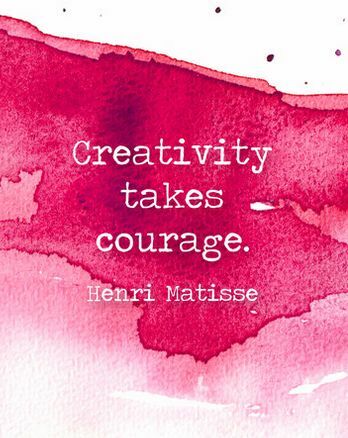 “Creativity takes courage.” – Henri Matisse. Image c/o Tanya Leigh Ta on Livingly via Pinterest. Matisse and his artwork are featured in our kindergarten, first, third, and fourth-grade curriculum. 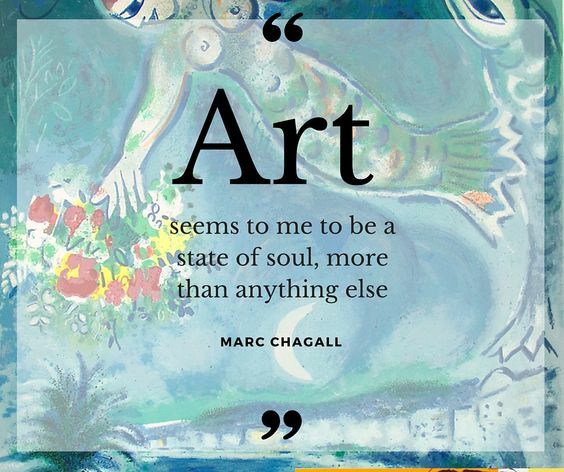 “Art seems to me to be a state of soul more than anything else.” – Marc Chagall. Image c/o Masterworks Fine Art via Pinterest. Chagall and his artwork are featured in our kindergarten, first, and fourth-grade curriculum. 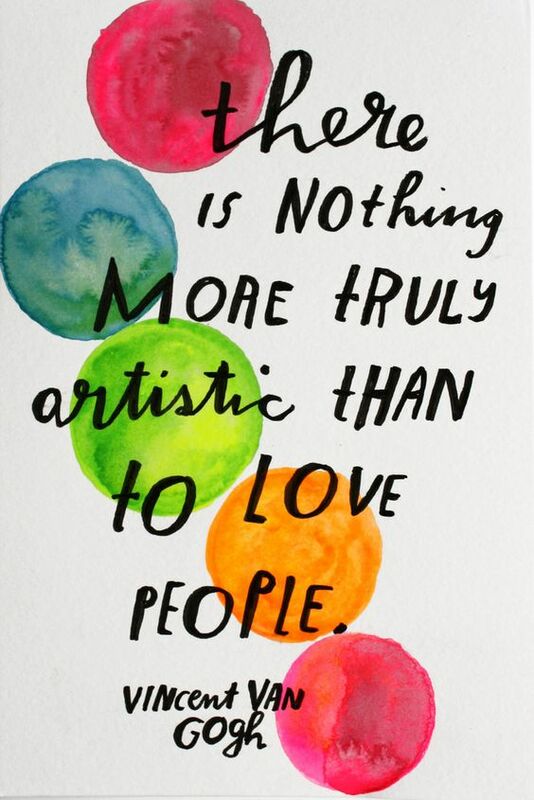 “There is nothing more truly artistic than to love people.” – Vincent Van Gogh. Image via Pocketo via Pinterest. Van Gogh and his artwork are featured in our kindergarten, first, second, fourth, fifth, and sixth-grade curriculum. 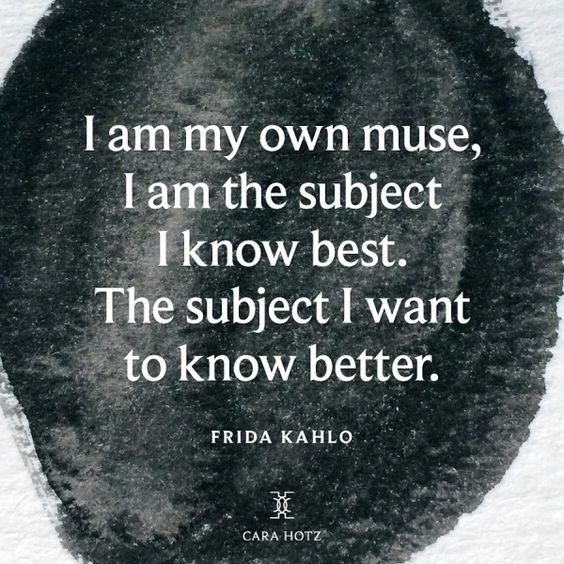 “I am my own muse, I am the subject I know best. The subject I want to know better.” – Frida Kahlo. Image by Cara Hotz, via All Women’s Talk via Pinterest. Kahlo and her artwork are featured in our first-grade curriculum. 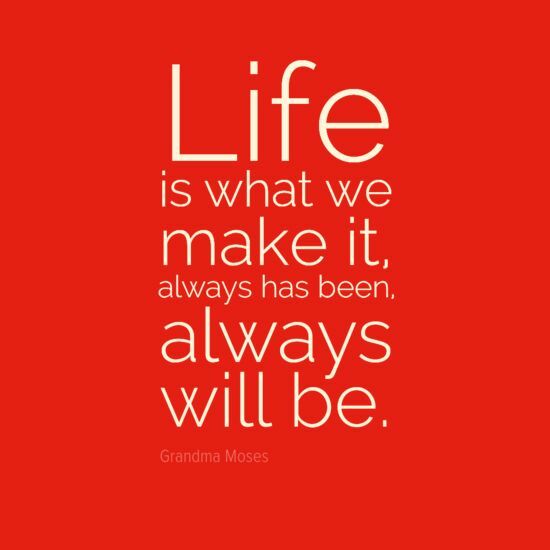 “Life is what we make it, always has been, always will be.” – Grandma Moses. Image c/o Pinterest. Grandma Moses and her artwork are featured in our fourth-grade curriculum. 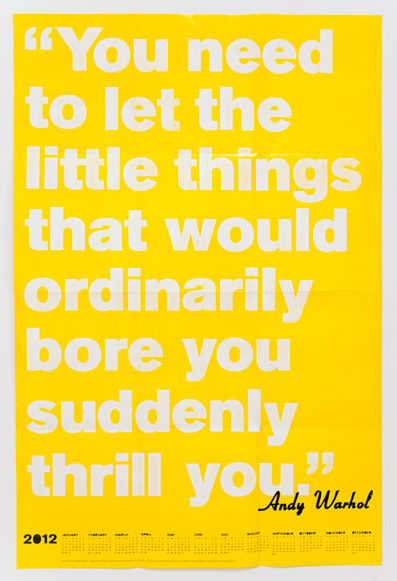 “You need to let the little things that would ordinarily bore you suddenly thrill you.” – Andy Warhol. Image c/o Pinterest. Warhol and his artwork are featured in our first and sixth-grade curriculum. What are some of your favorite quotes that help inspire your creativity or that make you feel excited about creating? Share them in the comments below!